Big Bend is the only National Park with an entire mountain range within it's boundaries. 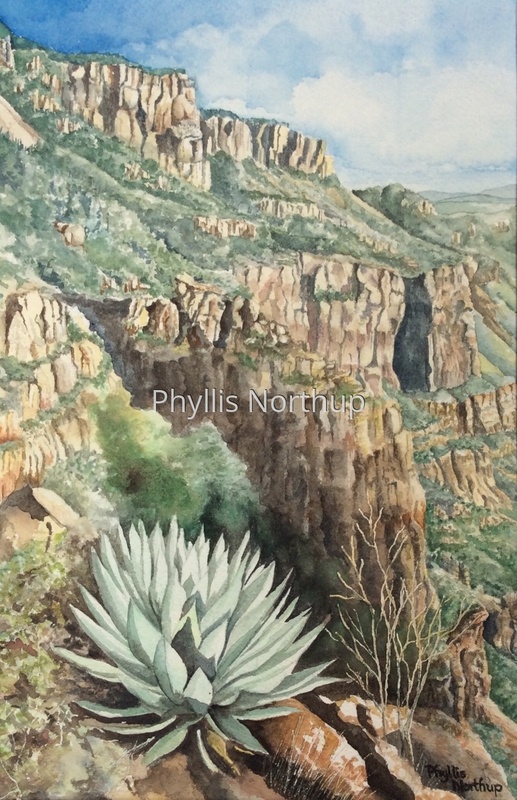 The Chisos Mountains provide a welcome respite from the heat below, and add to the already rich diversity of species and ecosystems found in the park. The girls were in first and third grade when we moved there, and we spent four years exploring the desert landscape. We hiked, discovered rock art and dinosaur fossils, floated the Rio Grande River, crossed the river to explore Mexican villages, watched bears, mountain lions, javelinas, rattlesnakes and an extraordinary diversity of bird species. We spent many nights camping under the incredible star filled skies, and marveled at the display of spring blooms, especially the blue bonnets. Although it was a challenge to be two hours from the closest grocery store, we thoroughly enjoyed experiencing the remoteness of this special desert landscape. This is one of a series of paintings "My Backyards" , celebrating the beautiful places I have been privileged to call home. Limited edition prints are now available of this painting. Choose your print unmatted or matted and ready for a standard 12x16 frame of your choice.